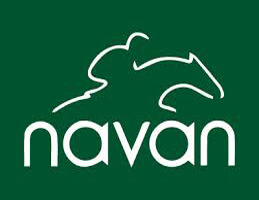 Sorry, no events are available at Navan Racecourse at the moment. Dublin is the closest airport. Helicopter landing at the course can be arranged by calling the racecourse office on (046) 90 21350. Drogheda (24km) is the closest railway station. Visitors can transfer to the racecourse by bus or taxi. From the M1 - take the Junction 10 for Slane/Navan/Collon. At the first roundabout, take the first exit onto onto the N51. Continue through Slane and to the roundabout on the outskirts of Navan. Take the 3rd exit onto the R162 (sign-posted Navan Racecourse & Golf). Continue for 4km. The racecourse is located on the left hand side. From the N2 – take N51 from Slane to Navan and travel to the roundabout on the outskirts of the town. Take the 3rd exit onto the R162 (sign-posted Navan Racecourse & Golf). Continue for 4km. The racecourse is located on the left hand side. There is no official dress code at Navan Racecourse but smart casual is usually a safe bet. Most importantly, we recommend that you dress for the weather! Navan Racecourse is located in the heart of County Meath and hosts a total of 18 race meetings throughout the year. This big, galloping, left-handed track attracts high quality fields for both its National Hunt and Flat action. It’s stiff climb to the winning post is often likened to the Cheltenham hill. No wonder you will hear people say that ‘it takes a good one to win at Navan!’ The coveted Troytown Chase, over a tough 3 miles in late November, is the winter highlight while early in its summer season, it stages the important Coolmore Vintage Crop Group 3. Visitors will enjoy top class facilities, a friendly atmosphere and a wonderful opportunity to see the ‘talking horses’ up close and personal ahead of bigger festival meetings.